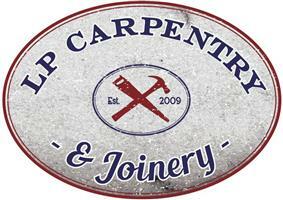 L P Carpentry & Joinery - Bedrooms, Carpenter, Kitchens based in East Preston, West Sussex. Attention to detail has been continuously highlighted by over 140 customers resulting in an excellent 9.9 overall. I am very proud of my growing reputation in Rustington, West Sussex and the surrounding counties. I have been involved in a wide range of Carpentry, Joinery and Building work. I have carried out both very small and larger projects linking up with other local trades when needed. Most of my work comes from word of mouth and repeat business as my work is carried out and completed to a professional, very high standard. My communication and attention to detail are the main reason my clients are very happy with my work. As well as carrying out all aspects of Carpentry and Joinery - I am now specialising in built-in cupboards and wardrobes! I have many ideas and styles to meet your needs! Have a look on www.lpcarpentryandjoinery.co.uk after you have viewed my Checkatrade web page for more photos and feedback. Are you struggling for space in your childs small bedroom? I will design and build bespoke high sleeper beds to give you more space in the room. I can design the bed to meet your needs and requirements. Advice, measuring and estimates - Free of charge. Rustington, East Preston and Angmering. All other areas in West Sussex and the surrounding Counties.